A group representing Brits in Italy, turned up in Florence on Friday hoping Theresa May’s speech would offer more concrete reassurances about their position in Italy after Brexit. Did she deliver? 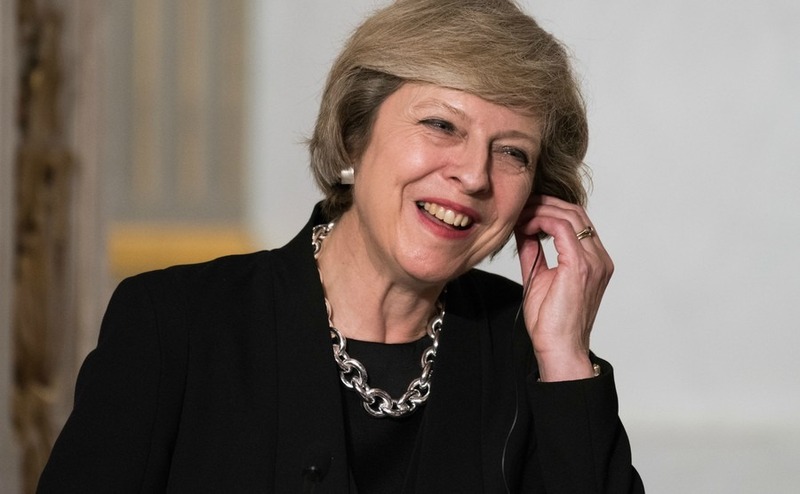 Theresa May’s speech was expected to set out the “principles” of the future relationship with the EU, but immigration arrangements for EU citizens during a transition period are still being worked out in negotiations. The speech was of little interest to EU leaders, what they want is clarity and a resolution at the negotiating table in Brussels. Clarity is also something Brits living in Italy are asking for, saying that they currently feel in limbo. 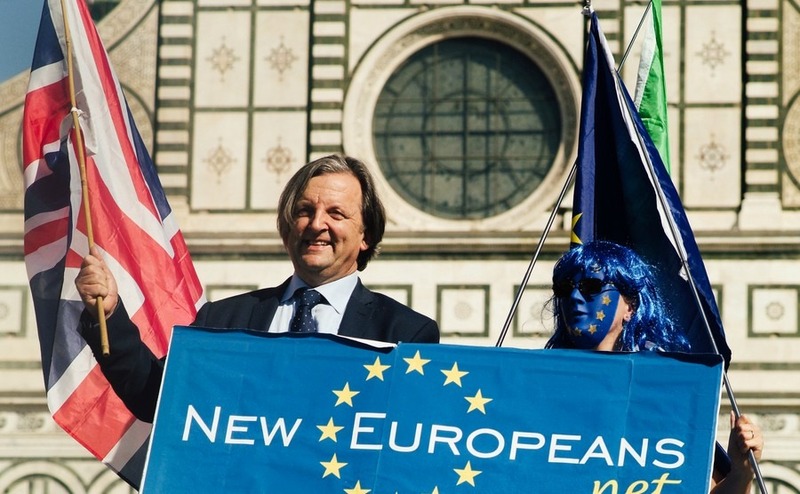 The EU flags and Placards of the protesters outside the Basilica in Piazza Santa Maria Novella in Florence, also indicated their unhappiness towards the Brexit vote itself, reading “Europe is my country” and “Denied a vote, denied a voice”. May said that she wants the UK to be given a two-year “period of implementation” after it leaves the EU on the 29th March 2019. The location of May’s speech was in the former school of the carabinieri (Scuola Marescialli e Brigadieri dei Carabinieri) at Santa Maria Novella. Located within the Caserma barracks, opposite the train station, it has now been given back to the city and has been going through a process of renovation. Boasting the city’s largest cloister and beautiful frescos, it will be a great addition to the Dominican museum complex which you can visit. Sadly, none of this could be seen in the broadcast of the speech, due to a large white backdrop placed behind the Prime Minister. You can read the full transcript of her speech on the Government website, but funnily enough you won’t find the quote that I saw on an Italian News website that said Britain accepts that they “can’t have a full barrel, and a drunk wife”, which is Italy’s version of “Can’t have your cake and eat it”, but I couldn’t find that mentioned either. So, let’s look at what Theresa May actually said that is of interest to us UK citizens who choose to live in Italy. As the British Prime minister I want UK nationals living here in Italy and elsewhere in the European Union to be able to maintain their rights too.